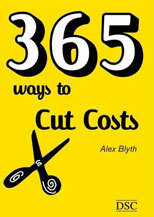 "365 Ways to Cut Costs, a new book for squeezed charity managers, offers plenty of ideas. 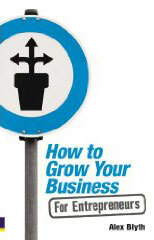 Author Alex Blyth suggests some eminently sensible ones, such as encouraging your staff to be cost-cutting minded." "Although many charities have fully embraced the internet, there are still others that don't hug the online world as tightly as they should. "As a manager, it's your duty to make sure you're doing everything you can to maximise the impact your charity has on the giving public, and effective online marketing is key to this. "But how au fait are you with the do's and don'ts of email marketing, search engine optimisation and online advertising? Author Alex Blyth warns of the 10 mistakes to avoid. Don't, for example, regard online marketing as free marketing - it might be cheap, but it still requires effort and resources. Don't fall into the trap, either, of thinking that it's a job for the IT department - you need a marketer with a vision that integrates both online and offline strategies, not a techie who runs the helpdesk. "So what should you do? 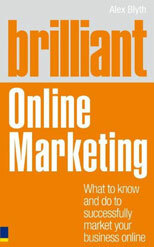 Once your website is fit for purpose, why not focus your efforts on search engine optimisation? This means moving your website up the search engine rankings to encourage more visitors - it's a fact that 80 per cent of internet users find new websites through a search. "How to do it? Try google.com/webmasters for starters. Web 3.0, here you come."